We are one of the leading Manufacturer & Exporter of a wide range of products which include Industrial Wires such as Barbed Wire, Concertina Wires and S.S.Wire. We are among the reputed names in the industry for manufacturing and exporting Barbed Wire, which is exceptional in tensile strength. The product provides excellent solution for barring intruders and live stock into the premises of houses and commercial complexes. It is made from high quality stainless steel and is easy installed. The wire can be customized according to the requirements of the customers. 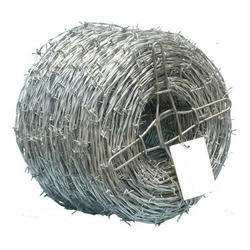 We are among the distinguished names in the industry for manufacturing and exporting Concertina Wire. The products are highly appreciated for its durability and comfortable installation. 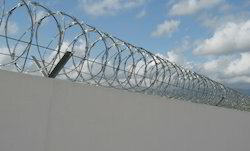 They are effective in providing protection to premises, owing to the razor sharp barbs and durable steel wire. The wires are resistant to corrosion as these are made from high quality stainless steel procured from reliable vendor base.